Although anger, aggression, and violence each have a big impact on society, the differences between them are widely misunderstood. Understanding these differences is crucial to formulating effective responses, whether in homes, schools, or professional practice. It appears that violent video game play makes the player more aggressive, which then spreads through their social networks. Sitting in a relaxed position reduces aggressive behavior following a frustrating experience. Individuals with antisocial personality disorder have problems recognizing fear in other people’s facial expressions. Do People Hurt Others Because It Feels Good? Deriving pleasure from others’ pain. Alcohol Causes Aggression. Can It Reduce Aggression Too? What drunk people focus on matters. Are Superheroes Good for Little Boys? Millions of kids worldwide love superheroes. They see the movies, they play with the action figures, and they dress up in a cape and pretend to fly. However, are superheroes really good for young children? Is Practicing Self-Control the Key to Reducing Aggression? Researchers have been looking into ways that aggressive behavior can be inhibited. One approach that has gained considerable attention over the past few years is self-control training. How Can We Reduce Aggressive Behavior in Individuals With Borderline Personality Disorder? Aggression has not been a specific subject of existing psychotherapeutic treatment programs for BPD although it may severely endanger the relationship between patients and their psychotherapist or psychiatrist and other medical staff or patients. Therefore, we have designed a new group psychotherapeutic treatment, which specifically addresses feelings of anger and aggression. An infographic, based on a recently published paper, examines how types of teen dating violence differs between boys and girls. The idea that acting aggressively in a way that does not actually harm anyone feels “good” and removes the wish to lash out against an actual victim is so popular that it has been turned into a successful business idea. 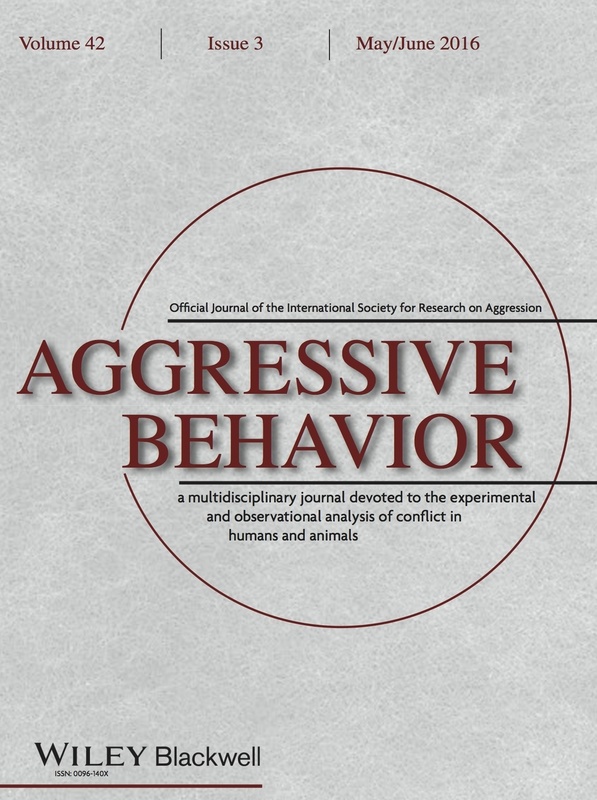 We modeled aggression-related psychopathologies in rodents with the hope of getting insights into brain mechanisms that cannot be studied directly in humans.